fundamentals « What did I learn today ? This is the top layer of TCP/IP protocol suite. This layer includes applications or processes that use transport layer protocols to deliver the data to destination computers. 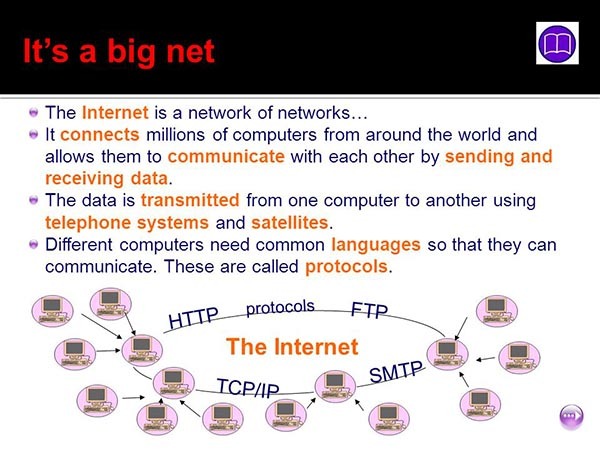 The Hypertext Transfer Protocol (HTTP) is an application protocol for distributed, collaborative, hypermedia information systems.HTTP is the foundation of data communication for the World Wide Web. Hypertext is structured text that uses logical links (hyperlinks) between nodes containing text. So what is the difference??? ?